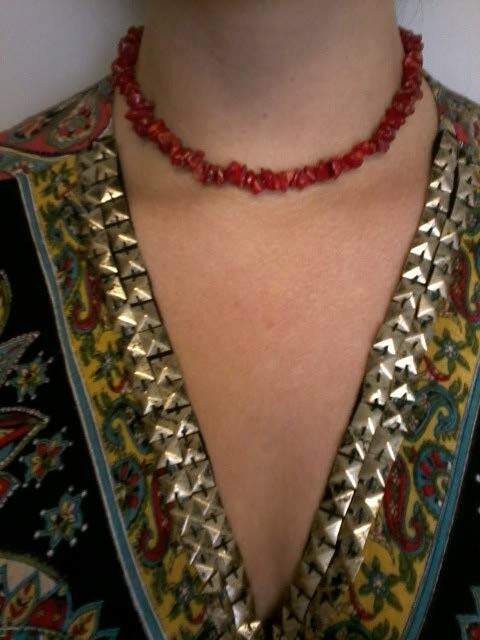 Chrissy: wearing a Jennifer Shortess one of a kind agate necklace. Chrissy owns many pieces by Jennifer. 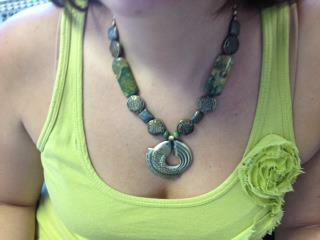 Melanie: donning a Jennifer Shortess large slab of beautiful browns and greens and blue turquoise pendant surrounded by green agates. Also a big fan of my letter openers with fused glass cabachons. 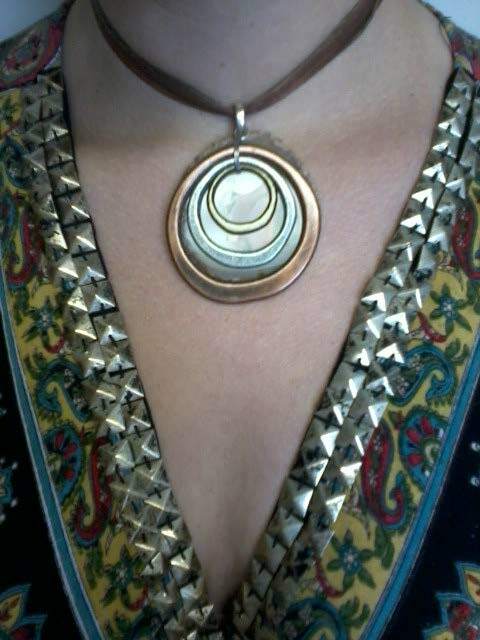 Linda displaying her funky agate slice with tri-metal pendant on brown ribbons. Ashley presenting her much coveted Fish Necklace by Jennifer. What a beautiful dancer's neck to adorn a beautiful choker by Jennifer. Hand-dyed silk with a lovely amethyst focal point. No metal. She is loving her groovy triple wrap cool colors bracelet.